WHERE DOES SENATOR SANDERS STAND ON ISRAEL? HISTORY OF THAT! | Concise Politics -- Your Time should NOT be wasted. WHERE DOES SENATOR SANDERS STAND ON ISRAEL? HISTORY OF THAT! Sanders = Best friend is Richard Sugarman, a professor of Jewish philosophy at the University of Vermont who champions Zionism to his left-leaning students. 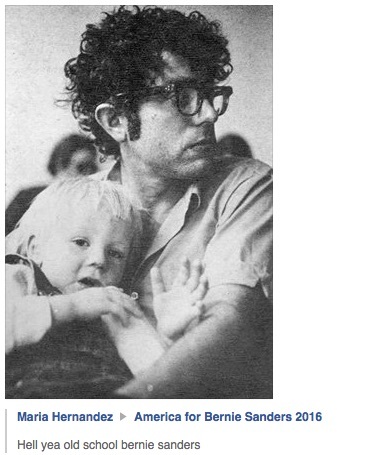 Sanders = Other best friend and former chief of staff = Huck Gutman, a University of Vermont professor of literature who is a passionate aficionado of the poetry of Yehuda Amichai. Sanders = Favors universally available health care. Sanders = Shaped by the murder of his father’s extended family in the Holocaust. Sanders = On Israel = He backs Israel, but believes in spending less on defense assistance to Israel and more on economic assistance in the Middle East. Sanders said “A Zionist? What does that mean? Want to define what the word is? Do I think Israel has the right to exist? Yeah, I do. Do I believe that the United States should be playing an even-handed role in terms of its dealings with the Palestinian community in Israel? Absolutely I do. Sanders = Mayor of Burlington, Vt (1988) backed Jesse Jackson’s support for the Palestinians during the first intifada = Called Israeli brutal + Arabs extreme. = “What is going on in the Middle East right now is obviously a tragedy, there’s no question about it. The sight of Israeli soldiers breaking the arms and legs of Arabs is reprehensible. The idea of Israel closing down towns and sealing them off is unacceptable. You have had a crisis there for 30 years, you have had people at war for 30 years, you have a situation with some Arab countries where there are still some Arab leadership calling for the destruction of the State of Israel and the murder of Israeli citizens…We are pouring billions of dollars in arms into Arab countries. We have the clout to demand they and Israel, who we’re also heavily financing, to begin to sit down and work out a sensible solution to the problem which would guarantee the existence of the State of Israel and which would also protect Palestinian rights.” Said on video unearthed by Alternet writer Zaid Jilani. This entry was posted in WHERE DOES SENATOR SANDERS STAND ON ISRAEL? HISTORY OF THAT! and tagged WHERE DOES SENATOR SANDERS STAND ON ISRAEL? HISTORY OF THAT!. Bookmark the permalink.